Recently, with the help of a friend who guided me, I built my own mining rig. The first step was to write down the shopping list on the things I need to build my own mining rig. The below cost a total of around 3K. I bought most of items at Sim Lim Square. Do ask for prices around a few shops and do your bargaining else you will end up being a carrot. After purchasing the above items, I started assembling them. The most important items above necessary for mining are actually the mining motherboard, risers and graphic cards. The Asus B250 mining expert is currently the most popular motherboard for mining cryptocurrency as it has a maximum of 19 PCI Express Slots for the graphic cards. The more slots you have, the more graphic cards you can attach them to and the faster (hash rate) you can mine cryptocurrency. I settled for the Asrock H110 Pro BTC+ as most shops have jacked up the price of the Asus B250 mining expert. 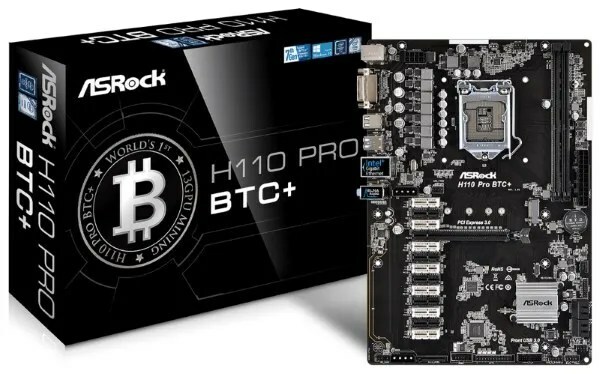 Asrock H110 Pro BTC+ has 13 PCI Express Slots. Here is the definition of a riser. As graphic cards are bulky, it is almost impossible to fit 13 or 19 of them into a motherboard. 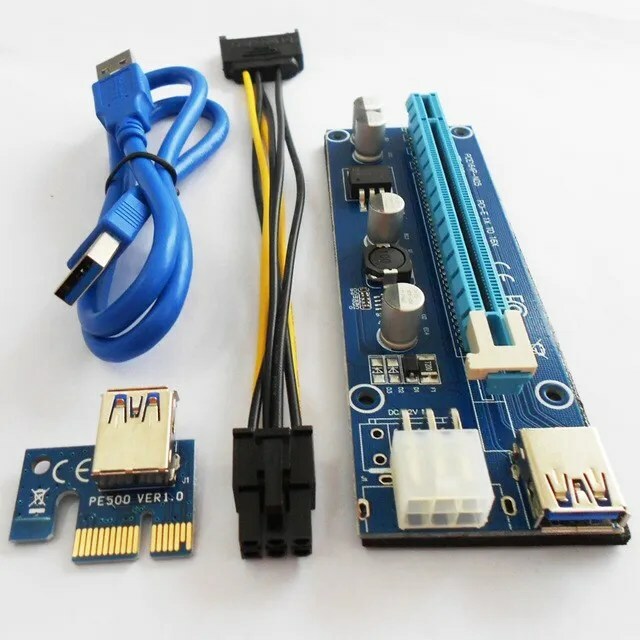 Thus, some brilliant guy came up with the idea of attaching the graphic card to risers and then plug the risers to the mother board PCI Express slots. You need the same number of these with your graphic cards. Cryptocurrency mining uses the Graphics Processing Units in these graphic cards to process the transactions. The more GPUs you have, the higher your hash rate. In layman terms, it means you can process more shares when mining. These are special crafted racks that you mount your graphic cards and those parts that you buy. It looks like a shoe rack. A mining rack is selling at more than a hundred dollars at Sim Lim Square and if you want to save money, you can use an IKEA shoe rack! Depending on what you want to mine, there are many pools for mining cryptocurrency out there. I settled for mining Ethereum as it seems to be the trend right now and perhaps it is something I am familiar with as I bought some Ethereum via Coinbase previously. Some example of Ethereum pools are nanopool or etherpool etc. You can google and many of those will come up in your search results. Most pools implement a minimum payout threshold. I chose Ethermine as the minimum payout is 0.05 ETH. You need a wallet to deposit the rewards (ETH) from the pool that you mine. I chose MyEtherWallet and the benefit is that you own a private key to your wallet. Unfortunately, Coinbase does not support ETH payments mined from mining pools (as stated in their terms and conditions). Thanks for the interesting info. I was thinking about doing this myself. I am not convinced that watching flashing lights and listening to fans is going to be “fun and addictive.” after the first 30 minutes. Hi Roman, I just started mining. I may update here once I receive my next electricity bill. I am using a fan to blow away the heat generated from the GPUs. I also leave the room windows open for ventilation. Hi, Interesting post. I am also keen to mine. But not sure where to start. Can you break down the cost of the individual items? Also, what’s the cost of the electricity? 70usd is nett or gross? Hi Qwe, you can check out shops at Sim Lim Square and they can give you a quote. I can say that the GPUs are the most expensive among the items and you need multiples of them. The rest of the items like hard disk, ram etc are affordable. 70 usd is estimted as Ethereum to USD prices fluctuates. hihi how many GPU u bought and what is the recommended GPU for mining ETH ? Very interesting especially when it’s a fresh and unique post. Pls update us on the ROI after all in cost including electricity . Like u, I also don’t know how to assembly a computer and you got a good friend to help u. Even if you don’t earn much, I think the knowledge gained is already worth the 3k. hihi i was wondering how many GPU were used for your rig at that pricing? and hash rate generated ? Hi edmund, I use 10 GPUs to achieve a hash rate of estimate 140 to 150. Hi Rockyboi, yes. 1050ti is very popular now for mining ETH. Hi Cheryl, yes I am mining 24 hours. The profit actually is dependent on price of Ethereum which fluctuates a lot recently. In fact, cryptocurrency fell across the board just yesterday. I may update electricity prices after I get my bill as I just started mining. It will be interesting to see if your profit will correspond with one of the online calculators. For example. Particularly when the algorithms are designed to be utterly inefficient and indeed decrease in efficiency over time. It is a weird concept. What mining software tool are you using? Hi RC, I am using the popular Claymore’s Miner. Also this “mining” gig won’t last forever, as difficulty levels go up and hardware prices are going crazy, it will no longer be profitable. The machines have a shelf life of a year – 2 max, and it might give you about 50-80% ROI at max from what i calculated. So maybe not sweet retirement, but some sweet kopi money lah, haha, share with us how it goes! Thanks! Hi Teck Beng, thanks for sharing. Yah, cannot depend on mining ETH for retirement. Just some sweet kopi money and it might not last forever!